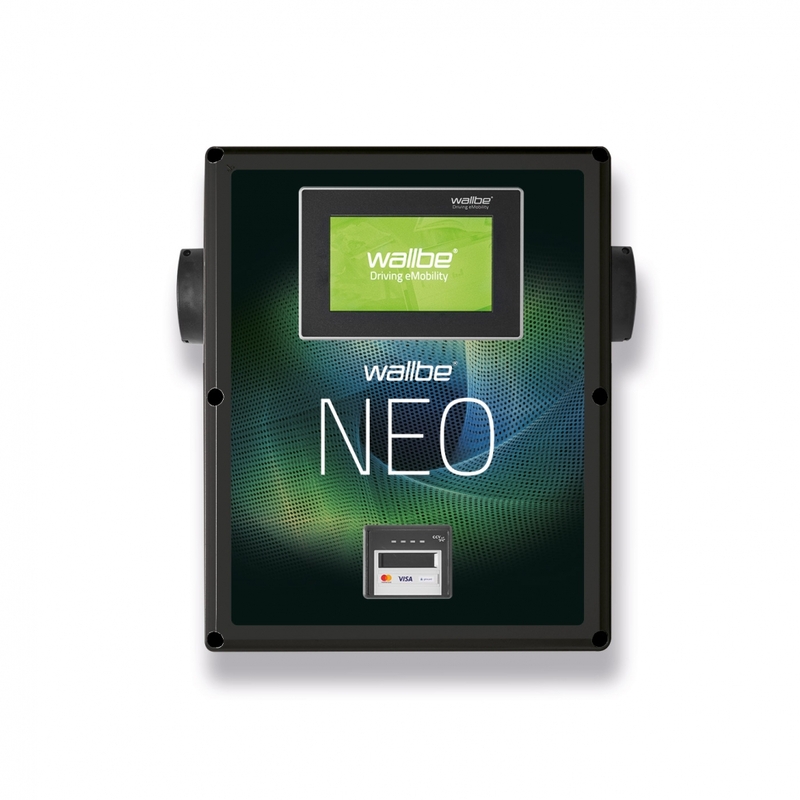 Whether underground car park or multi-storey car park – our Wallbox NEO perfectly fulfils all requirements with its extensive functions. The solution for indoor and outdoor areas convinces with its simple installation and a surprisingly low price. 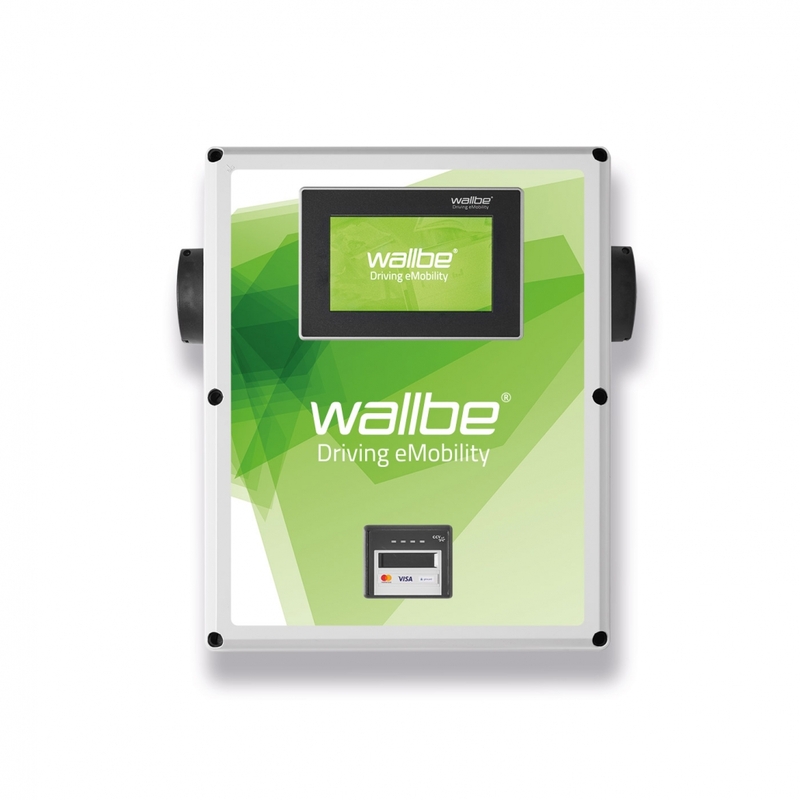 The wallbe® NEO is equipped with a QUICKON Power quick connection system as well as externally accessible RJ45 Ethernet interfaces, which eliminate the need for internal connection work. 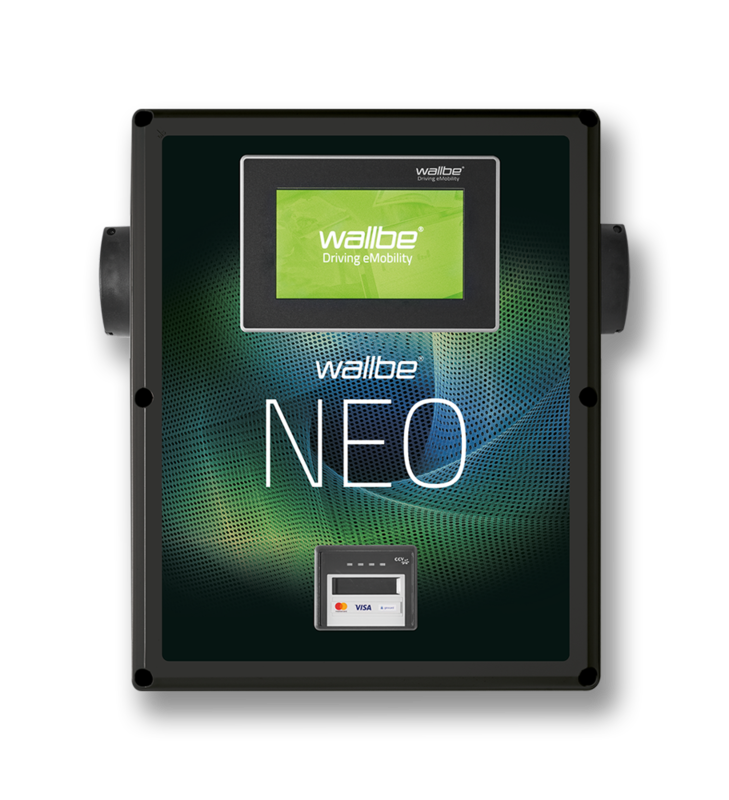 With two charging points, it offers a complete system for smart load and user management as well as the integration of payment systems or renewable energy sources. 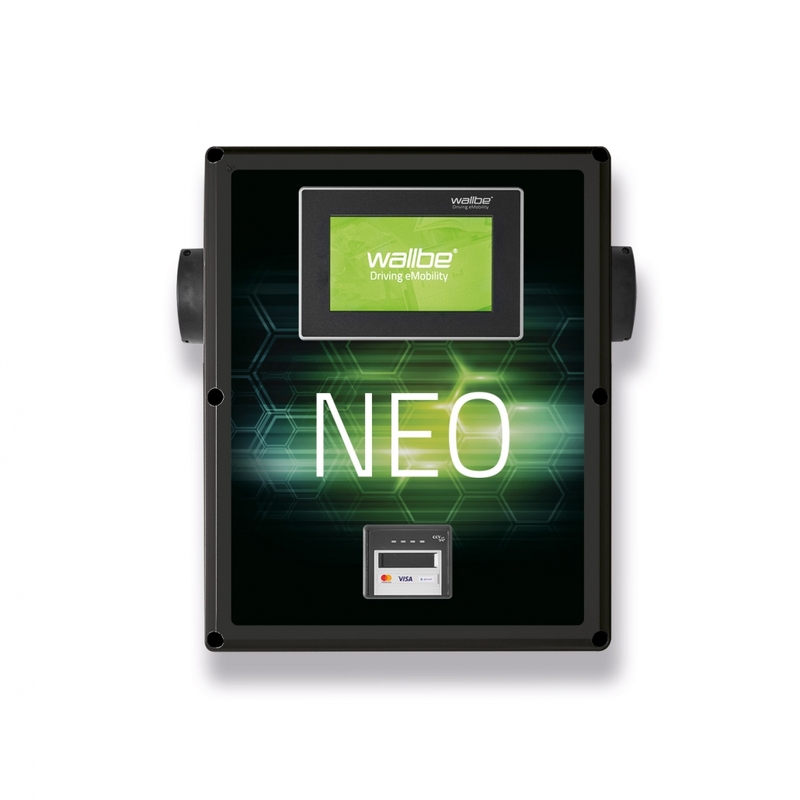 Users pay barrier-free and contactless as well as in compliance with legal metrology with debit/credit card or mobile phone (NFC). The IT interface supports OCPP versions 1.5 and 1.6, so that integration into modern back-end and billing systems is possible without any problems. 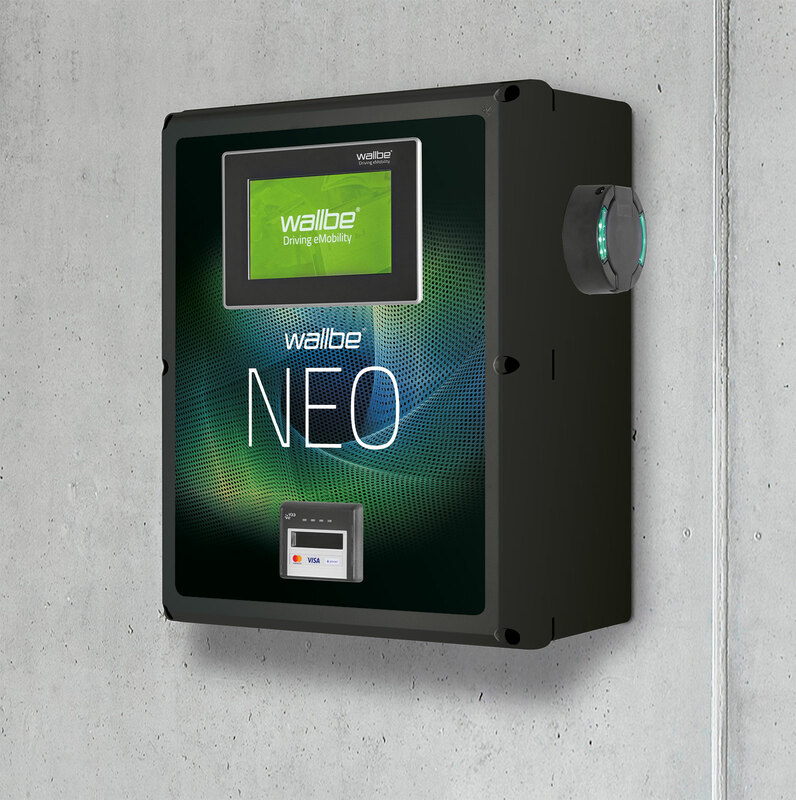 In the semi-public and public sector, wallbe® NEO offers a versatile and extremely future-proof overall solution in the economical use of state-of-the-art charging technology. Integrated payment function with contactless payment options via debit and credit card via NFC. Flexible positioning due to wall-mounted charging station and pedestal station. Individual design through RAL, metallic and effect varnishing as well as 4c digital printing. Integrated load and charge management possible. 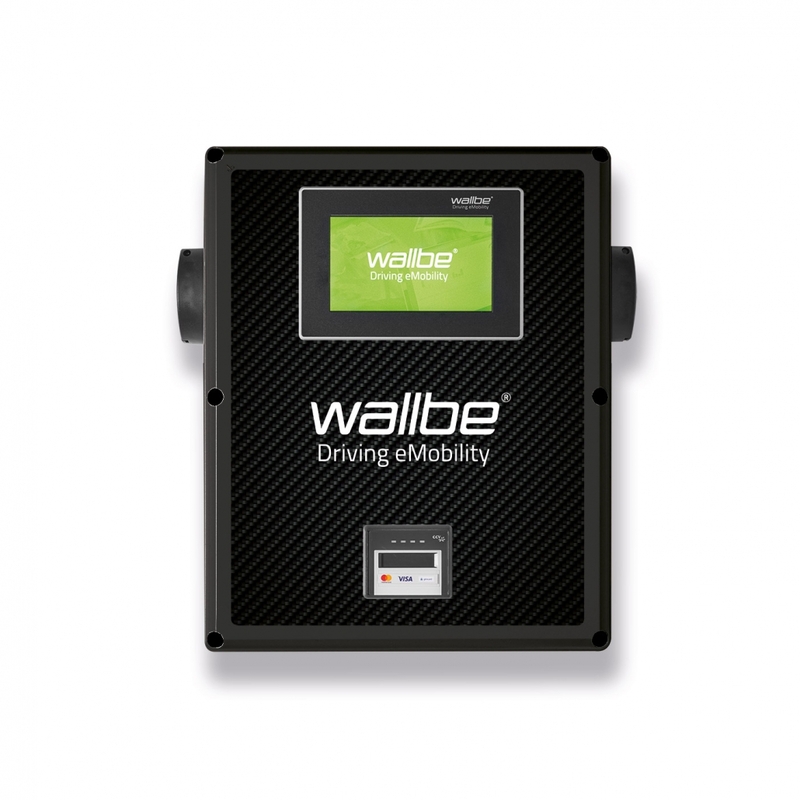 If you are looking for a real all-rounder, our wallbe® NEO is the perfect solution for you. For inside and outside. Colourful LEDs on the charging socket show the current charging status.